An ear infection is a common problem faced by both adults, and more often, children. It is caused by a viral or bacterial infection that affects middle ear, or due to allergies or colds. There are tons of medication for treatment but if you think that the infection is at an early stage, try using a natural way. Olive oil is one of the best self care remedies for relieving pain and preventing infection. Keep reading to learn how you can use warm olive oil for ear infection and more! Is Warm Olive Oil Good for Earache? Olive oil contains antibacterial and antiviral properties that deal with the bacteria causing infection. It helps to clear up the excess ear wax that blocks the Eustachian tubes. It acts as a protective layer to prevent bacteria and virus infection. Olive oil soothes the tightly stretched tissues of ear drum which in turn helps in reducing the pain. It contains fragile polyphenols, antioxidants which protect cells from damage and reduces the inflammation. We have listed several ways of using olive oil with a detailed description. Try any one of these regularly to treat the ear infection. Lukewarm olive oil provides immense relief from the pain and clears the blockage caused by either fluids or excessive earwax. Warm up some olive oil. Using an ear dropper, pour few drops of warm olive oil into the ear. Remember, it should not be hot. Plug the ears with a cotton ball. Gently massage the outer part of the ear or cover the ear with a warm compress. Remove the cotton ball and lie down facing the treated ear downwards. After few minutes, using a tissue paper or Q-tip, clean the outer ear. Garlic infused olive oil makes a potent remedy to treat an ear infection. It helps to kill the bacteria causing infection. Add 2 tablespoons of extra virgin olive oil and minced garlic (1 clove) into a small pan. Heat the mixture on low heat for 20 minutes. Now, remove from the flame and let the mixture steep for few minutes. Once the mixture is warm enough to touch, strain it and pour few drops of it into the ear. Plug the ear with a cotton ball and remove it after few hours. Repeat the application 2 times in a day until the ear infection clears. Note: If you don’t want to heat the ingredients, then you can achieve the same thing by adding minced garlic to olive oil and letting it steep for 2 – 3 hours. Tea tree oil contains mild antibacterial properties which help to clear the infection effectively. Combine 2 tablespoons of olive oil, 3 drops of tea tree oil, 1 teaspoon each of colloidal silver and apple cider vinegar. Warm up the mixture slightly. Make sure you don’t overheat the mixture. Lie down by facing the infected ear upwards. Using an ear dropper, pour few drops of the mixture into the infected ear. Turn and lay down facing the infected ear downwards. This helps in draining out the olive oil completely. Using a tissue paper, clean the outer ear. Alternatively: You can just add few drops of tea tree oil to 2 tablespoons of olive oil and follow the same process. Apple cider vinegar balances the pH level of the ear which creates an inhospitable environment for virus and bacteria to thrive. Combine 2 – 3 tablespoons of olive oil and 1 teaspoon of apple cider vinegar. Heat the mixture on medium heat for 30 minutes. Remove from the flame and let the mixture cool down until warm enough for the application. Lie down facing the infection ear upwards and pour few drops of the mixture into the ear. Make sure the mixture is warm enough before the application. Cover the ear using a cotton ball. Leave it on for 10 minutes. Remove the cotton ball and clean the outer part of the ear using a tissue paper. Follow the process 2 – 3 times in a day to get quick relief from an ear infection. Adding cinnamon to olive oil increases the effectiveness of the remedy. Sprinkle a pinch of cinnamon powder into 2 tablespoons of olive oil. Heat the mixture for a minute and let it cool down to body temperature. Pour 3 drops of the mixture into the infected ear. Repeat the process 2 times in a day. The antibacterial properties present in onion helps to kill the bacteria causing infection. In a small saucepan, add olive oil and grated onions. Heat the mixture for few minutes. Remove from the flame and let the mixture steep for 15 minutes. Strain the mixture and add few drops of warm solution into the ear. Place a warm compress on the ear for few minutes. Cloves contain antibacterial, antiviral, antioxidant and anti-inflammatory properties which help in providing relief from an ear infection. Take a couple of cloves and grind them to powder. Mix clove powder with a tablespoon of olive oil. Heat the mixture for few minutes (make sure it does not get too hot). 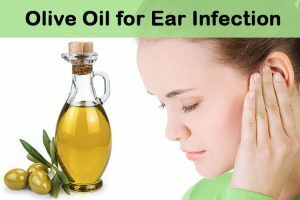 When it is warm enough, pour few drops of oil mixture in the infected ear. Cover it with a cotton ball and leave it on for as long as possible. Take a teaspoon of mullein flowers and combine it with 1/2 cup of boiling water. Stir it well and allow it to cool for few minutes. Combine 1 tablespoon each of mullein tea and olive oil. Let the mixture steep overnight. Pour a drop of this solution in the infected ear. Repeat the process regularly to get quick relief from the ear infection. The antibacterial properties of peppermint oil treat the infection by removing the bacteria causing the infection. Combine 5 drops of olive oil and 1 drop of peppermint oil. Stir it well and pour this mixture of peppermint oil and olive oil in ear for pain by using ear dropper. Leave it on for a while to ease the pain and infection. Note: If you are sensitive to the peppermint oil, you can always dilute it with more amounts of olive oil. This process is effective in treating an ear infection in both babies and adults. Combine 1 tablespoon of olive oil and 5 drops of lavender oil. Gently warm up the mixture. For ear infection in babies: Dip a cotton ball in the mixture and gently rub it around outside of the ear. For ear infection in youngsters and adults: Pour few drops of the solution into the ear and apply a warm compress. Pour 2 – 3 drops of olive oil in each ear canal before going for swimming to avoid the water going into your ears, as this can cause additional pain and infection to you. It is good to clean your ears after taking shower / swimming. Avoid trying the above remedies if the ear drum is ruptured. If you suspect your ear drum is ruptured then consult a doctor immediately. Check the temperature of olive oil before pouring it into the ear. Make sure the oil is warm, but not hot. Avoid swimming until the ear infection clears. Avoid consuming dairy products while suffering from pain as it can increase the pain and swelling. It is better to cover the ears with scarf or cap before going outside as pollution can worsen the infection. If the ear infection persists even after trying the remedies for 3 – 4 days then consult a doctor. Did you find this article on olive oil and ear infections helpful? Have you tried any other method to treat your ear infection? Share your experience and suggestions in the comment section below. Essential oils are ototoxic and can cause deafness, never put them in the ear. First of all, olive oil is carrier oil which is safe to use for the treatment of ear infection. Coming to essential oils like tea tree oil or peppermint oil or lavender oil when applied topically in the middle ear for the treatment of ear infections will cause ototoxicity. This will occur only if you use 100% tea tree oil in the process, then it causes ototoxicity and impaired hearing. However there is no such report of causing ototoxic if you use low concentration. So prefer lower concentration of 2% tea tree oil to avoid the effect and also use less quantity. Hi, I am suffering from ringing in the both ears, can you help which sesame oil i can use? What kind of olive oil will help my ear? I’ve never been a good cook, and i’m not good with this. But I happen to have extra virgin olive oil handy. Will that work? You should use extra virgin olive oil. I cleaned my son’s ear but he does not like,he cries alot and in the process i might have hurt him coz he started bleeding.He took his afternoon nap and woke up fine.But during the night noticed his ear is bleeding and he cries when i touched it. 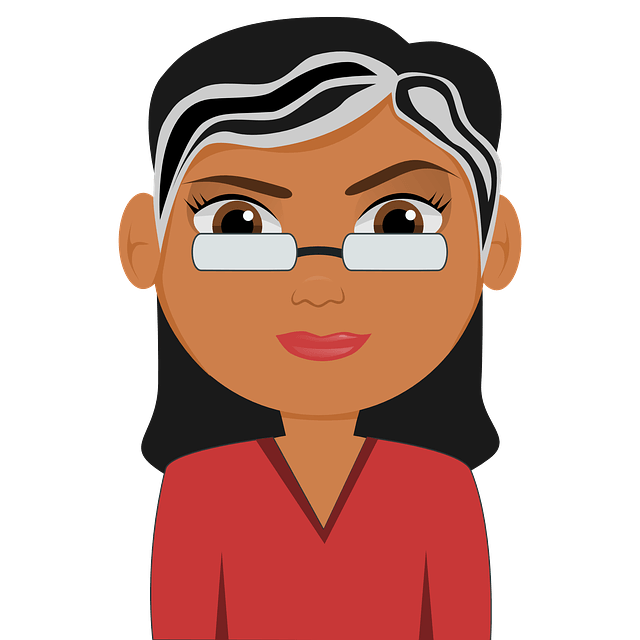 Could i have damaged my son’s eardrum? Please consult the doctor to find out the exact reason. What if I put a drop of purification in my ear? How do I treat that? Will it come out? Will I be able to hear again? What had happened was that I got cellulitis on my ear. My ear had been clogged so I thought it would be ok to put purification in my ear.. I’m not the brightest.. and now I can’t hear and it’s causing a lot of pain in my ear drum. Any cures or anything to help??? We recommend you to consult the doctor to get proper diagnosis and know the stage of the infection. You can use extra virgin olive oil. Use extra virgin olive oil for the treatment. We also recommend consulting doctor as soon as possible to know the exact problem in your case. Yes, mix few drops of holy basil and coconut oil. Using a cotton ball, apply the mixture inside and around the ear. Repeat the application daily. extra virgin olive oil for cooking can be use? my 6yrs old daughter have otitis and we are tired taking antibiotics that cause her kidney damage. any advice to ease ear pain for her. as she undergo surgery and put grommet a year ago but then again its repeating same problem and needs to put her grommet. Yes, you can try extra virgin olive oil used for cooking. Olive oil goes to b warm going in the ear? Yes, you have to add lukewarm olive oil into the ear for effective results. But patch test the oil before pouring into the ear. Make sure it is warm enough that the delicate skin can handle. remember quit putting your fingers in and itching it cause it will only make it worse. my ear feels so much better after putting olive oil in it now all i got to do is sleep and let it drain by itself. hi, nice job. i had hearing test done and i was told one ear is not passing the requirement, i think he said can not hear the low sound. what is the good remedy for better hearnig to apply. Try 1st or 2nd method regularly.